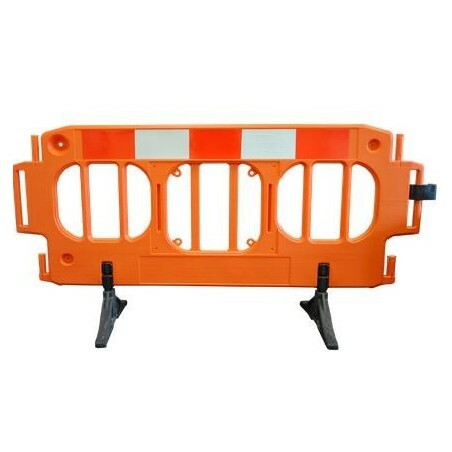 The Master Barrier is our most successful barrier, with it’s high tensile strength and lightness, it makes it the perfect barrier for any form of utility works. The addition of anti-trip feet allow pathways to be kept clear for pedestrian access. Free standing with 360° swivel feet. Free from screws and rivets. Moulded in orange as standard, but can be coloured to suit. Feet can be coloured to suit. 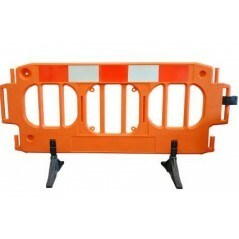 Barrier to barrier connection is quick and easy for use on uneven ground. Information sign can be attached. Reflective strip at top and bottom. Company identification can be embossed. Bottom reflective strip if requested.